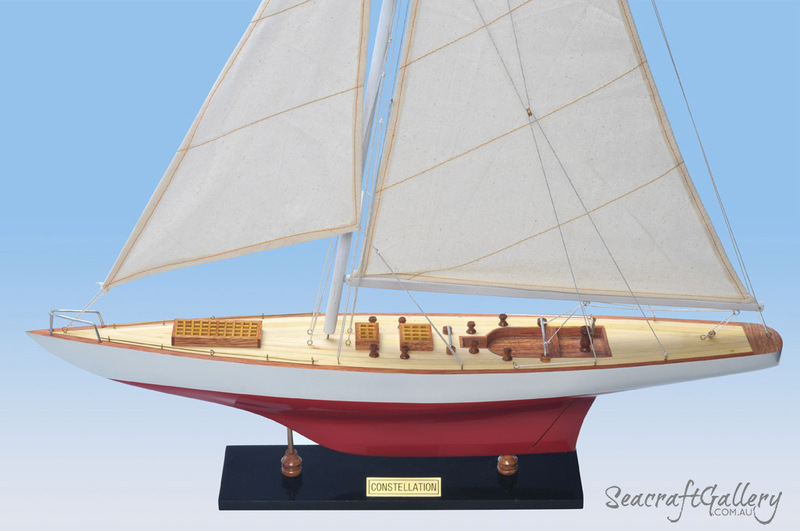 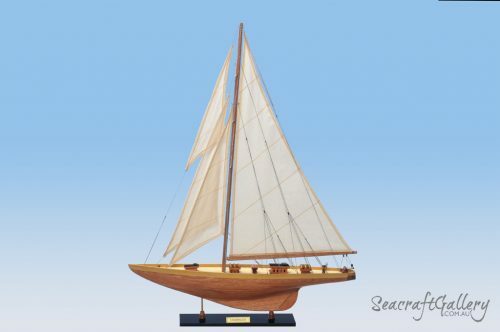 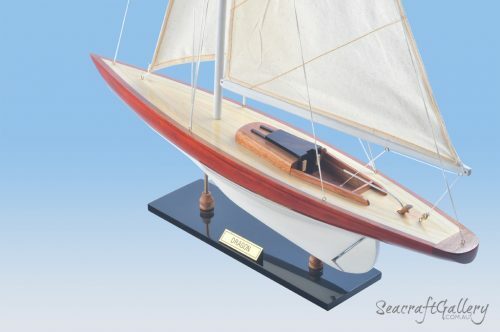 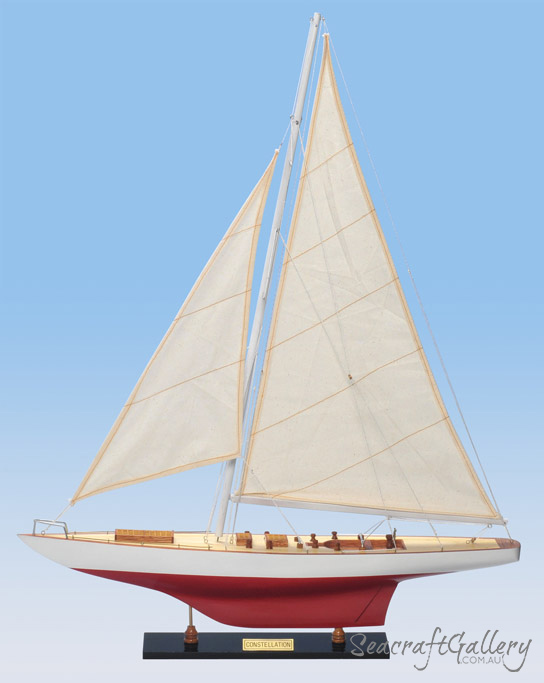 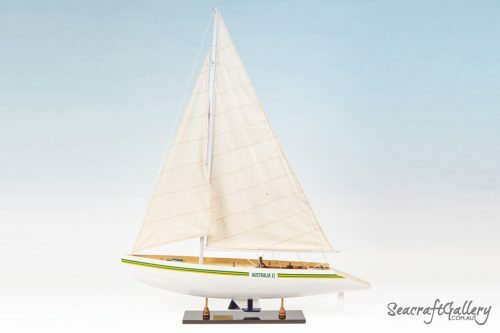 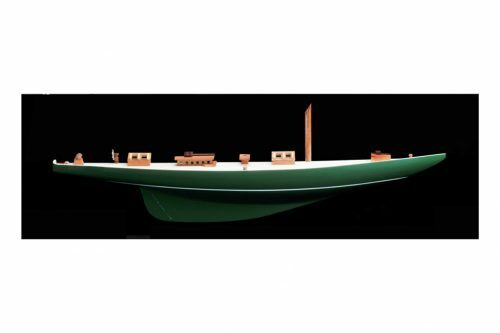 From atop a mantle, table or shelf in any room, these yacht models sail as the perfect highlight for your meeting room or office, bedroom or beach house. 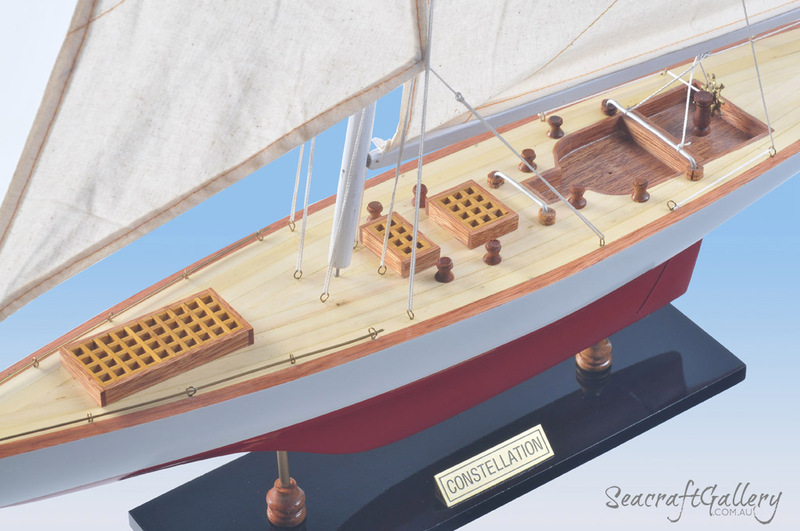 CONSTELLATION won in 1964. She was a quite elegant all-round boat, which was selected as Cup Defender over the large and powerful AMERICAN EAGLE, which was only superior in heavy weather. 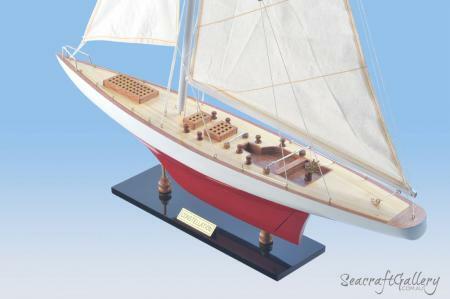 This should have been a tip off to the future but the true significance of having to design the smallest possible 12-Metre for Newport conditions was not generally appreciated until Australia II lifted the Cup in 1983. 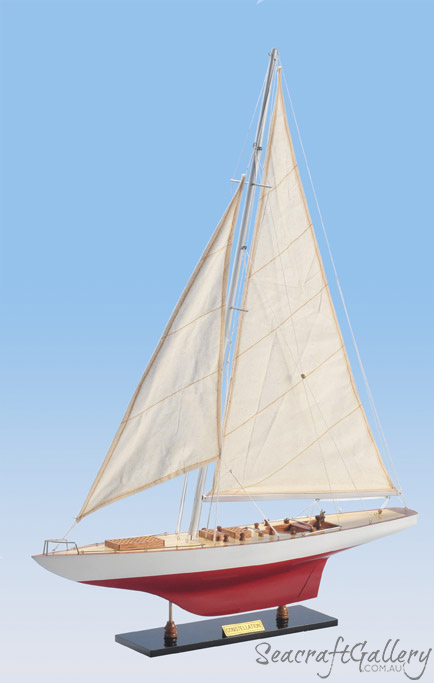 The reason 12-Metres form an exception to the axiom “design big” is the idiosyncrasy of the rule, particularly the prescription of increased displacement with length.